Susan Kay Quatro (born June 3, 1950) is an American rock singer-songwriter, multi-instrumentalist and actress. She was the first female bass player to become a major rock star. 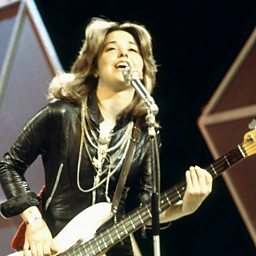 In the 1970s, Quatro scored a string of hit singles that found greater success in Europe and Australia than in her homeland. She reached no. 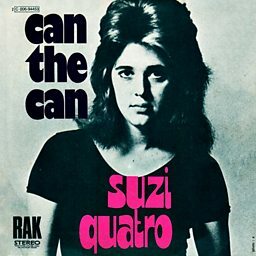 1 in the UK and other European countries and Australia with her singles "Can the Can" (1973) and "Devil Gate Drive" (1974). Following a recurring role as bass player Leather Tuscadero on the popular American sitcom Happy Days, her duet "Stumblin' In" with Smokie's lead singer Chris Norman reached No. 4 in the US. Quatro released her eponymous debut album in 1973. Since then, she has released fifteen studio albums, ten compilation albums, and one live album. Her other solo hits include "48 Crash", "Daytona Demon", "The Wild One", and "Your Mama Won't like Me". Between 1973 and 1980, Quatro was awarded six Bravo Ottos. In 2010, she was voted into the Michigan Rock and Roll Legends online Hall of Fame. Quatro has sold over 50 million albums and continues to perform live, worldwide. 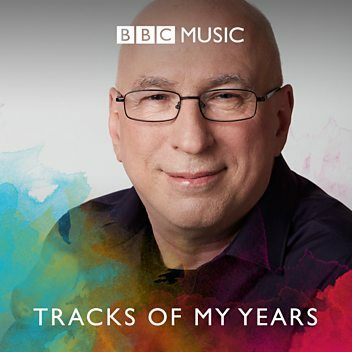 Her most recent studio album was released in 2019 and she also continues to present new radio programmes.